Why yes, I will 'say yes' to some tea! 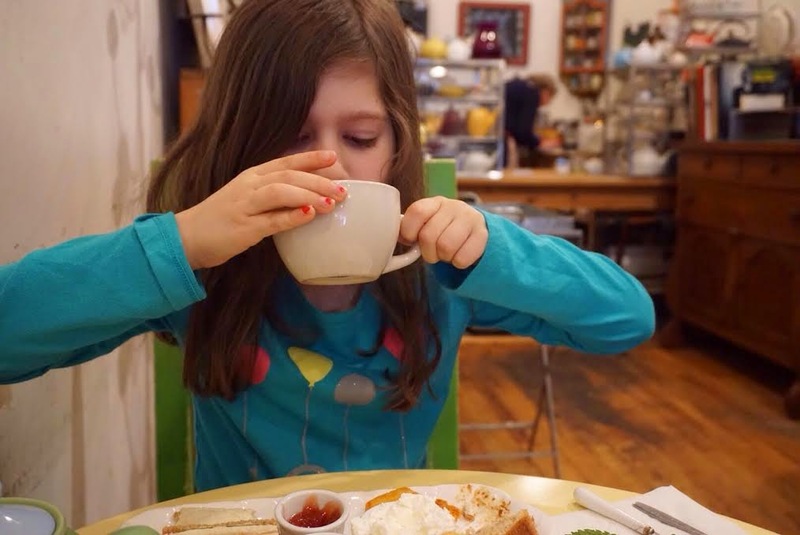 Last weekend we were in need of some special tea time, so The Littlest Tea Critic and I decided to check out Podunk Tea Room. I hadn't been to this sweet little spot in the East Village in years, and when Nicole mentioned it recently, I knew it was a great suggestion. 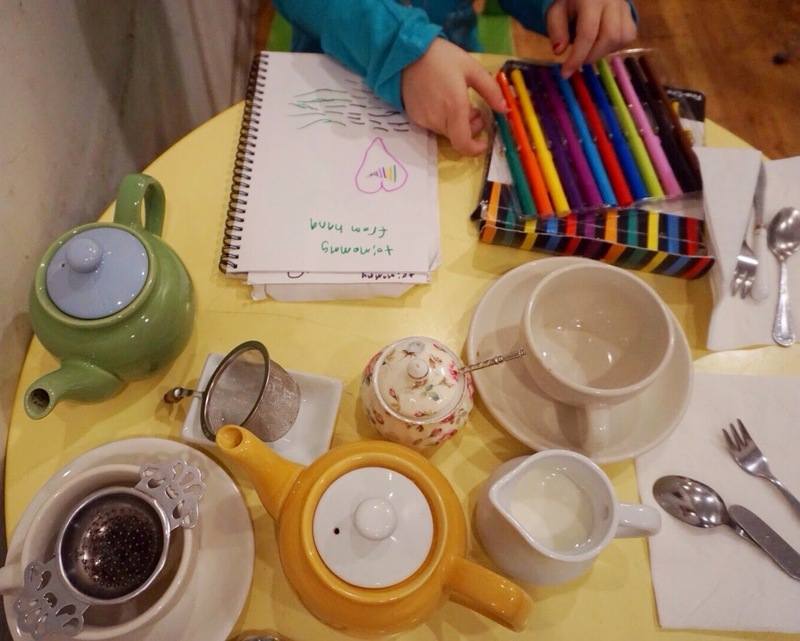 Podunk is a warm and inviting place for a cozy tea experience. The food is all homemade, and you can taste the care and attention that goes into it. I remembered how much I liked the sweets on my last visit and I was eager to try them again. We decided to get a mix of savory and sweet treats. For our teas, I chose a Russian black tea. It was bold, smoky, and satisfying. We each recieved a good sized teapot. My only gripe is that the leaves sit in the teapot until you are ready to pour each cup. The first cup or two are lovely, but if you are slow to finish your pot, it gets bitter by the end. I was able to remedy this with a little bit of milk for my last cup. The LTC got a vanilla rooibos that she thoroughly enjoyed. As I mentioned, our food was a mix of savory and sweet. We each had a hearty portion of cucumber sandwiches, cheese biscuits, two delicious slices of cake, and a couple of little cookies. There was lots of jam and cream to accompany the meal. Everything has a rustic, homemade look and taste. My favorite item was actually the cheese biscuits. I love anything in cheese form, and these crispy, flaky, cheesy squares were no exception. I could eat a whole plateful! The cucumber sandwiches were satisfying, and the cakes were the perfect end to the meal with our last sips of tea. We had a tender cake that was laced with cinnamon and sugar, and a melt-in-your-mouth slice that had a strong vanilla flavor and a texture similar to pound-cake. The LTC enjoyed the entire experience- the pretty mismatched teaware, relaxed and homey atmosphere, and tasty treats. She liked Podunk far better than our last outing. In fact, she asked me today when we could go back to to the 'yummy tea place'. So we'll be back very soon! The tearoom is small, so I'd suggest making a reservation. Especially since they often have larger parties coming in on the weekends. 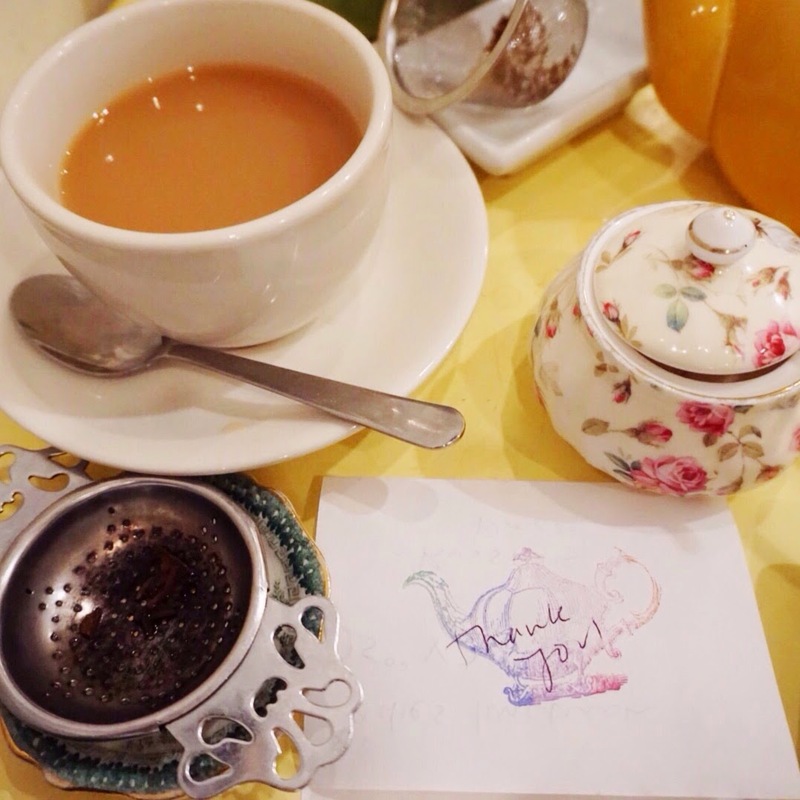 If you are looking for a casual spot for tea, lunch, or brunch, it's a great choice. Especially with a little tea critic in tow. I'm so glad that LTC enjoyed Podunk! They aren't usually the first place that comes to mind when people think of afternoon tea service but they never disappoint. I think that I'll have to drag my boyfriend soon. He'd really like their savory mini pies. Podunk makes the best cucumber sandwiches! I haven't been here in ages! Glad it's still going!